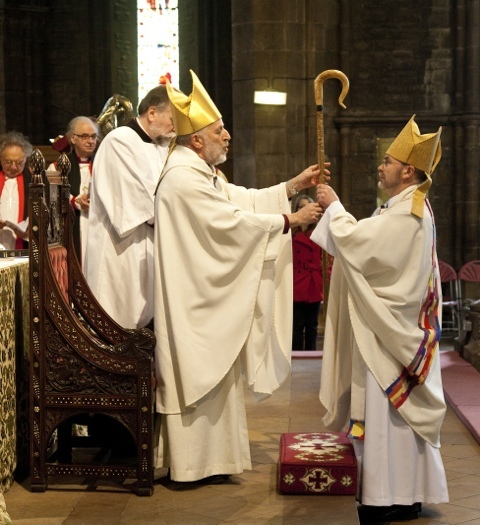 I’m grateful to the Diocese of Edinburgh for this picture from Bishop John’s consecration – it appears on the cover of ‘The Edge’ magazine. Interesting that the Lutherans have in some cases let go of the crozier, as it were. Bishop Agnes wasn’t handed one. Presumably they see it primarily as a symbol of authority and are uneasy with that.